Estimated life span is 12 years. Meaning he is pretty much the average pet. I think I'd want one. How about you? Dog heaven is a backyard with a steady supply of those trying to hop about. pretty sure i read an article about china buying a bunch of these (probably not for food, as they consume more than they are). dog size bunnies. have to laugh. Say goodbye to your garden! Can you use his poo to go bowling with? 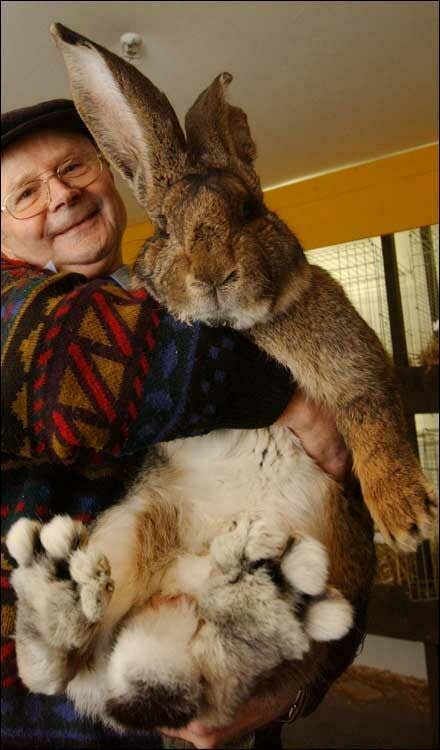 I used to have a Flemish Giant too. They're cute. He used to harrass the cats. Soooo cute. one of my cats is pushing that size. I didn't fall from grace, I dove. What do you mean my halo is lopsided, it's balanced perfectly on my horns. Do you have a pet? Let's talk about them and share your experiences on having a pet or the things that you want to do with your pet. Actually, I’m looking for a pet fence or fenceless boundary which is an electronic system designed to keep a pet or other domestic animal within a set of predefined boundaries without the use of a physical barrier. Do you have any idea? Wow! I didn't even know that we had a pet section. 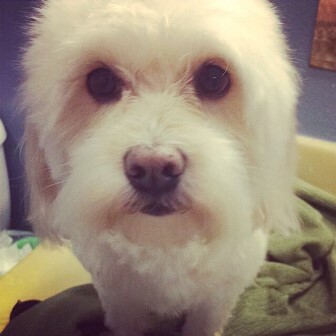 Anyway, I own a Pomeranian/Lhasa Apso mix breed named Joey. He's an adorable tyke who loves to hang out in our living room. We raised him ever since he was a pup and has been a bundle of joy for many years. He also likes to play catch in the backyard, though my wife (the cautious woman that she is) would fit him with one of those doggles (dog goggles) as a safety measure, just in case he decides to chase the ball in the bushes. He would cuddle up before bed time and lick us awake in the morning.